What is Company-Sponsored or Company Paid CDL Training? Company-sponsored or company paid CDL training programs are truck driving jobs with training. You will attend a truck driving school which is owned and operated by a trucking company. These trucking companies that train drivers will sponsor a student's CDL training by paying for the up front costs of the training and also paying the student during some or all of the training process. Are These Free Truck Driving Schools? Some of these paid CDL programs do turn out to be free in the end. Others will require you to pay back some tuition costs once your CDL training is complete and you're out on the road driving solo. Upon completion of your paid CDL training you will sign an agreement to work for the company for a specified amount of time. This is how they recoup the time and money they've invested into your CDL training, which in my opinion is a very fair deal for both sides. Generally speaking, if you decide to quit working for the company before your obligation is complete, you will owe the company a prorated amount of money for the schooling. At some companies your training will be free once your obligation is complete, and others will require you to make payments out of your paycheck to cover the tuition for the schooling. Let's get started learning about the companies that offer paid CDL training! Darrel Wilson bought his first tractor in 1980 at age 20, but, being too young to meet OTR age requirements, he leased the truck out and hired a driver. Through growth and acquisition, Wil-Trans now employs over 200 drivers, and has a long-standing partnership with Prime, Inc. to haul their refrigerated freight. The family of businesses also includes Jim Palmer Trucking and O & S Trucking. Family owned-and operated company since 1980. Stable and steady freight through Prime partnership. Bulk of training is "hands-on". Various route options for new drivers. The Jim Palmer Trucking mission is as consistent today as it was when the company was originally founded, almost 50 years ago. 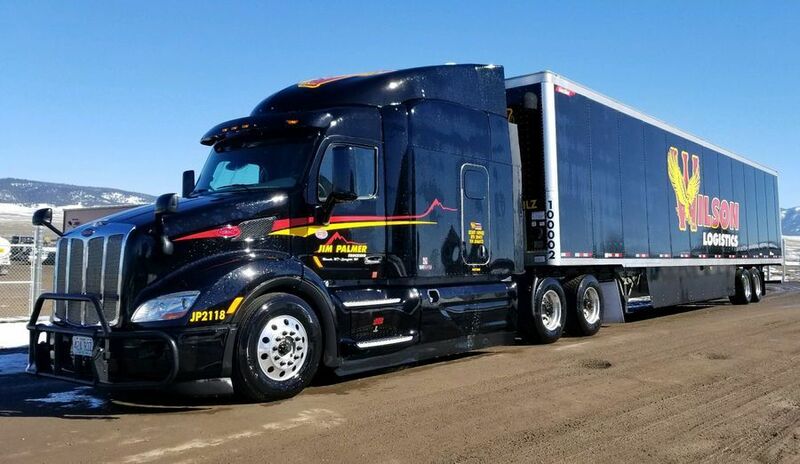 Jim Palmer Trucking has become an established trucking company that continues to deliver safe and dependable transportation services to customers. Family run and oriented company, regular and frequent hometime. Jim Palmer Trucking offers a $10,000 longevity bonus to drivers who are safe, dependable and remain with the company for 5 years. Open pet and rider Program. Receive real-world experience driving over-the-road while obtaining your CDL. Jim Palmer Trucking is approved through the United States Department of Labor as a registered sponsor for the Military Apprenticeship Program. If you have obtained your CDL from an outside school, you will be evaluated and may be able to go straight into Onboarding class, and then head out with a trainer for a total of 40,000 miles. TMC Transportation began in Des Moines, IA in 1972 with only 6 trucks. Today, TMC Transportation is the largest and most successful privately held flatbed trucking company in the United States, operating throughout North America. In addition to accepting experienced truck drivers, TMC Transportation hires inexperienced drivers who recently graduated from an approved truck driving school. TMC is still led by its founder, and is employee-owned, through shares gifted to the employees. New, custom equipment, with free weekly truck washes. Most drivers home every weekend. All meals covered during CDL school. 2 students per truck on practice range. PAM Transport began operation in 1980 and specializes in hauling "just in time" freight for the automotive industry and also frequently hauls air conditioner units, cosmetics, and paper. While PAM operates in all of the lower 48 states, the majority of their freight is in the Midwest, Mid-Atlantic, and the Eastern half of the United States. PAM has grown to more than 1,800 trucks becoming one of the largest dry-van carriers in the country. Specializes in hauling "just in time" freight for the automotive industry and also frequently hauls air conditioner units, cosmetics, and paper. Teaming up with Driver Solutions, they will finance 100% of the schooling and pay for the majority of the tuition cost over the course of 1 year. Swift Transportation is one of North America's largest trucking companies. They offer truck driver training with very little money up front and in only 21 days you will have your CDL. Direct quote: "Swift is unquestionably the largest truckload motor carrier in the world." Founded in 1985 and employing over 4,000 associates worldwide, Celadon Group Inc. (NYSE: CGI) is one of the largest and most progressive transportation and logistics companies in North America with revenue exceeding $600 million. Through its subsidiaries, Celadon provides long-haul and regional full-truckload freight service across the United States, Canada and Mexico. Founded in 1985 and employing over 4,000 associates worldwide, Celadon Group Inc. (NYSE: CGI) is one of the largest and most progressive transportation and logistics companies in North America. With approximately 110,000 annual border crossings, the company is believed to be the largest provider of international truckload movements in North America. Celadon maintains one of the youngest fleets in the transportation industry with an average tractor age below 2 years, compared with the industry average of 7 years. Celadon has been recognized with the 1st Place -- National Fleet Safety Award, the industry’s most prestigious safety award, three times. Transportation to the school, meals, and housing are provided to their students at all locations. No upfront costs to worry about, food, housing and transportation included. Prime is one of North America's most successful carriers with a variety of opportunities including refrigerated, flatbeds, and tankers. Roehl Transport was established in 1962 with a single truck and now operates over 1,900 tractors and 4,600 trailers including dry-van, reefer, flatbed, curtainside, and step-deck. Knight Transportation was established in 1988 and now operates over 3,600 tractors and 8,500 trailers including dry-van, reefer, and container trailers. The company operates 100% debt free. On average, trucks are no more than 2 years old. Founded in 1983, Carter Express has been delivering world-class customer service. Our objective is to supply transportation services to our customers in an efficient, economical, and timely manner- and to accomplish this while being a great place to work. Carter Express currently has a sponsored CDL training program at several truck driving schools that is paid 100% with no out-of-pocket expense to the applicant. Founded in 1983, Carter Express employs over 800 people supporting Truckload Service in the Continental United States & Eastern Canada. 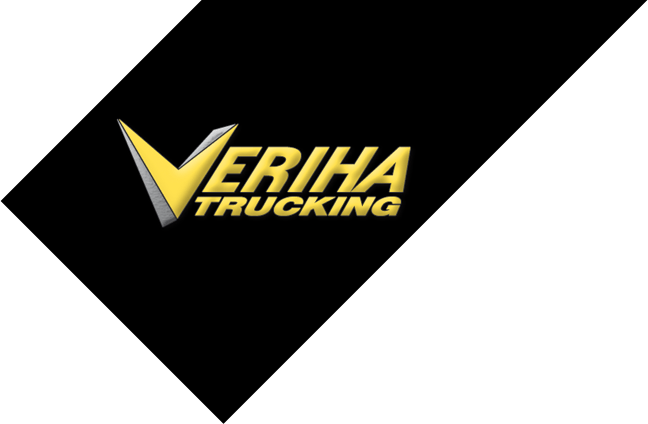 They have one of the lowest accident ratios in the nation, and for the past three consecutive years (2008-2010), the Truckload Carrier Association has ranked us first in the nation for safety. One of the youngest fleets in the country. USA Truck is a dry freight trucking company headquartered in Van Buren, AR. They began in 1989 with just 10 tractors and have expanded to more than 2,500 trucks and 7,200 trailers. Started with just 10 tractors and have expanded to more than 2,500 trucks and 7,200 trailers. They are a medium-haul dry van carrier specializing in hauling general commodities such as industrial items, electronics, automotive parts, etc. Most of their drivers remain within 500 miles of their home and within 6 to 12 months, the majority of drivers are placed on some sort of dedicated or regional account. The CDL schooling, handled through a third party called Driver Solutions, appears to be well run with a decent tuition structure which includes financing 100% of the schooling. While USA Truck operates in all of the lower 48 states, the majority of their freight is in the Midwest and east coast. CRST is a predominantly team-operated dry van company out of Cedar Rapids, IA which boasts a 1,500 mile average length of haul with more than 1,100 company-owned tractors, 2,500 van trailers, 2,000 team drivers, 350 solo drivers, and more than 250 independent contractors. YRC Freight was created when Yellow Transportation (Founded in 1924) bought and merged with Roadway Express (founded in 1930). Subsidiaries include Reimer, Holland, and New Penn. They are primarily a terminal-to-terminal LTL carrier with numerous safety and achievement awards. They own over 8,400 tractors, and run mostly doubles trailers, and also own over 12,000 48' and 53' vans. With more than 28,000 employees, YRC Freight is the largest operating unit of Overland Park, Kansas–based YRC Worldwide, and one of the largest trucking companies in the United States. YRC Freight was named one of the Top 100 military-friendly employers for 2015. YRC Freight also works in partnership with Women in Trucking (WIT), an organization that promotes women’s employment in our industry. 1st year top pay between $65,000 to $70,000. Completely free CDL school, for qualified drivers living in the Chicago metro area. They also offer Driver Development Program, with CDL training for dock employees. XPO Logistics, Inc., incorporated on May 8, 2000, is a provider of transportation logistics services and a provider of engineered, technology-enabled contract logistics in North America. XPO recently acquired and assimilated Con-Way Freight, giving it actual ownership of an asset-based transportation segment. XPO Logistics, Inc., incorporated on May 8, 2000, is a provider of transportation logistics services and a provider of engineered, technology-enabled contract logistics in North America. XPO recently acquired and assimilated Con-Way Freight, giving it actual ownership of an asset-based transportation company. Priority hiring status to service members and ex-military, XPO operates it's own apprenticeship program. With a 12-month commitment to drive for XPO, qualified students can now receive fully paid tuition to attend driving school in Missouri, including room and board. Average annual income for solo drivers is $50,617 and for team drivers is $111,410 (per team). Uncapped home time, 1 day for every 7 days out. C. R. England is the nation's largest refrigerated trucking company with a long history. They have five trucking schools across the US and offer 3 weeks from the time you begin until you'll have your CDL. Family owned and operated for four generations. Headquartered in Salt Lake City, UT. Service provided throughout North America. Five driver schools located nationwide. More than 5,600 drivers and independent-contractors. Over $1.5 billion in revenues in 2013. Over 4,500 late model tractors, and 6,500 trailers in service. Growing up in the transportation industry and learning the lessons of the trade from his steel-hauling father, Chairman and CEO Steve Williams went into business for himself and formed Maverick Transportation in 1980. Today, almost 2,000 employees back every load we haul. We operate approximately 1,500 units coast-to-coast. Based in Little Rock, Arkansas, Maverick was formed in 1980 and is privately held. Boasting one of the nation's largest open equipment fleets, we are proud to be expanding into the temperature control market as we celebrate 36 years of success. Industry leading training, unmatched pay and home time, top of the line equipment, and a home with the best in trucking. Regional, long haul, and dedicated opportunities available within several of our divisions. We are now offering sponsored CDL training with a partner driving school in Arkansas. Millis Transfer began hauling freight after the end of prohibition and has since grown to more than 700 tractors, 2,200 trailers, and an additional 100 owner operators. They are a dry-van carrier with most of their freight originating and terminating in the Eastern half of the United States. Driver Solutions is a recruiting company that matches drivers with an entry-level truck driving jobs working for a trucking company that will cover the upfront tuition costs of truck driver training. Stevens Driving Academy of Texas has been preparing men and women for life-long careers in trucking since 1992 in locations across the nation. They are fully accredited and licensed by the State of Texas. We use the most up-to-date audio-visual training methods. You train on top-notch factory-built training vehicles - not old, converted trucks. Get the benefit of training on the exact same equipment you'll be driving when you hit the road. Stevens will finance the cost of your training. All you have to do is remain employable and stay on the road as a Stevens driver for one full year. There are no credit checks, no down payments, no financial requirements. Very little out of pocket expenses. Housing is available to out of town students. We'll finance the total cost of the hotel lodging, plus meal assistance is available. MCT has suspended their company-sponsored CDL program, for now. Midwest Coast Transport (MCT) offers 100% tuition sponsorship at a privately run CDL school in the Sioux Falls, SD area. While you must pay for transportation and lodging, there will be no cost for tuition. 100% tuition sponsorship through a local Souix Falls CDL school which is independently owned. Raider Express is a refrigerated truckload carrier specialized in hauling grocery and food products in the contiguous forty eight States. The main base of operations for Raider Express is located in Fort Worth, TX, with a drop yard in Houston, TX. Raider Express operates around 200 company owned tractors and 470 53' refrigerated trailers. Raider Express is a family owned and operated company. Smaller company, with more individualized attention to driver needs. Some of the best pay packages in the industry. Low turnover rate compared to the rest of the industry. Completely free CDL training, with no contract. FFE Transport has been in business for more than 60 years and is one of the industry leaders in temperature controlled LTL, Truckload, and Dedicated services nationwide. The nation's only refrigerated transportation services company offering truckload, LTL, intermodal, and logistics services locally and internationally. If you remain employed with the company for one year after graduating from training, your training is completely free!